Are we, as a nation, also progressing? What do the Vatican and the Philippines have in common apart from a fondness for the Pope? Being the only two countries left where divorce is not legal. For some, it may come as no surprise. The greater majority of our population is composed of Catholics, thus giving the church leverage over the nation despite the separation of Church and State provision in our Constitution. Take a look at other predominantly Catholic countries: Ireland removed the constitutional prohibition on divorce in 1996. 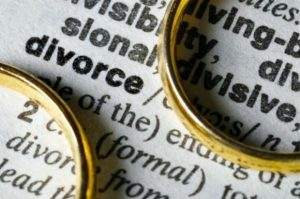 Divorce was legally introduced in Italy in 1970, and Brazil in 1977. But times are changing. We are becoming more open-minded about the prospect of divorce, and this was made apparent last Mar. 14, when the House of Representatives approved the divorce bill on its second reading—the farthest a law proposal for divorce has ever gone through the legislative process. The proposed bill, entitled the Absolute Divorce and Dissolution of Marriage Act, states several grounds for divorce including marital infidelity, domestic violence and abuse, and the well-known irreconcilable differences. Lawmakers argue that the legalization of divorce will provide a quicker, less costly, and less complicated means of ending a marriage. This will be particularly beneficial to the poor who do not have the financial means to get an annulment, a process that can cost hundreds and thousands of pesos and span several years. The bill aims to help spouses stuck in abusive marriages, as well as prevent children from having to suffer as the result of their parents’ marital issues. However, those opposed to the legislation argue that divorce is unconstitutional; it devalues the sanctity of marriage, and by making it available, compromises the welfare of the family. An abusive spouse, infidelity, emotional and physical absence, psychological impact on a child, a loveless marriage—are all of these repairable and preventable within the bounds of marriage? The House of Representatives is set to vote on the divorce bill next week. Let’s see how far it will go. What are your thoughts on the divorce bill? Let us know in the comments.